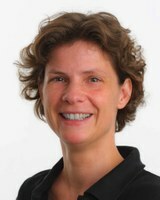 Katrin Rehdanz holds a diploma and a PhD in economics from the University of Hamburg. From the end of 2007 to 2012 she was leading the young researchers group “Valuing the Ocean” within the cluster of excellence initiative “The Future Ocean” funded by the German government. Since the end of 2016, she is the Director of the Institute for Environmental, Resource and Spatial Economics. She has a wide array of research interests revolving around the issue of ensuring sustainable well-being. Her particular interests lie in the field of quantitative analysis using spatial explicit information and the valuation of non-market benefits and costs. She has published various articles in international journals and has been the principle investigator of a number of international and national third-party funded projects.